The global warming, air pollution and climate change are danger signals that all is not too well with environment and Narendra Modi government has rightly taken some major green initiative for sustainable energy development during the last one year. India receives solar energy equivalent to about 500 trillion kWh per annum, more than enough to provide for the entire country’s needs. Solar energy, which is abundantly available in the country is being given new thrust. Mercom Capital Group, a global clean energy communications and consulting firm, forecasts another year of solar growth with installations expected to reach 4.8 GW in 2016. So far solar installations in calendar year 2016 have reached 3.8 GW, reports TOI. India currently has 14 GW of solar projects in various stages of development and another 7 GW waiting to be auctioned that makes India’s solar project pipeline reach to 21 GW. Solar installations are continuing to grow, even with a slowdown in power demand, a decline in capacity utilization among thermal projects, and the availability of cheap power on the power exchanges across the country. 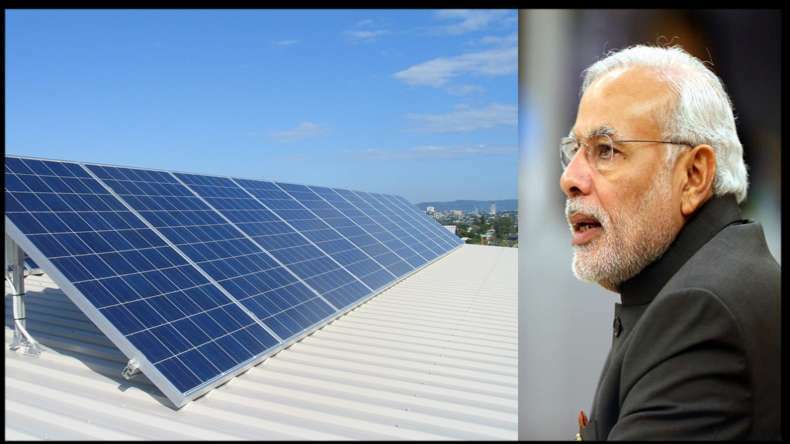 Four states of India have crossed the 1 GW solar installation mark on the back of the Modi government constantly pushing renewable energy as part of its climate management policy. 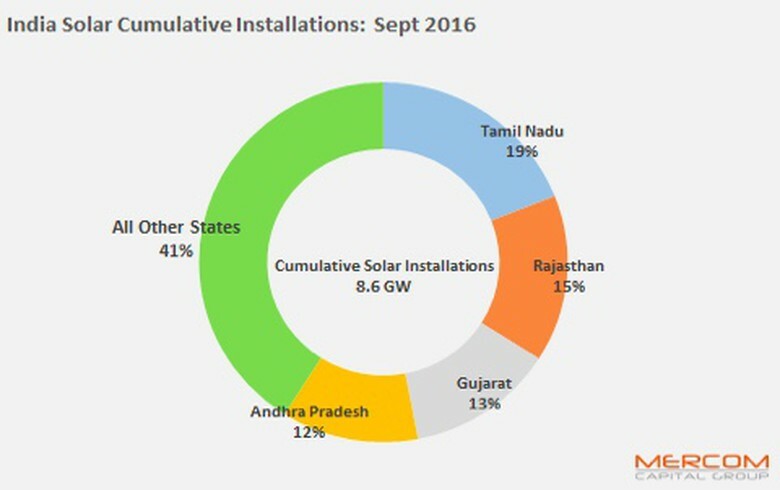 Out of the 8.6 GW installed so far, Tamil Nadu, Rajasthan, Gujarat and Andhra Pradesh have had significant activity and account for 59 percent of total installations. The Indian solar market is growing in size but infrastructure and systems have not kept pace with auction announcements, reports green energy market tracker Mercom Capital. Mercom Capital Group, llc, is a global communications and consulting firm focused exclusively on clean energy and financial communications. Raj Prabhu is CEO and co-founder of Mercom Capital Group and he also heads the Research and Consulting division. Mercom’s consulting division advises cleantech companies on new market entry, custom market intelligence and overall strategic decision making. It also delivers highly respected industry market intelligence reports covering Solar Energy, Wind Energy and Smart Grid.